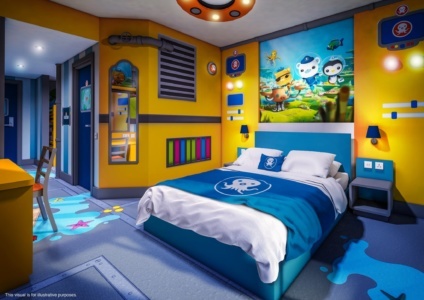 CBeebies Land Hotel – TowersStreet - Your premier Alton Towers guide! Are you ready for a sleepover with all your favourite CBeebies characters? 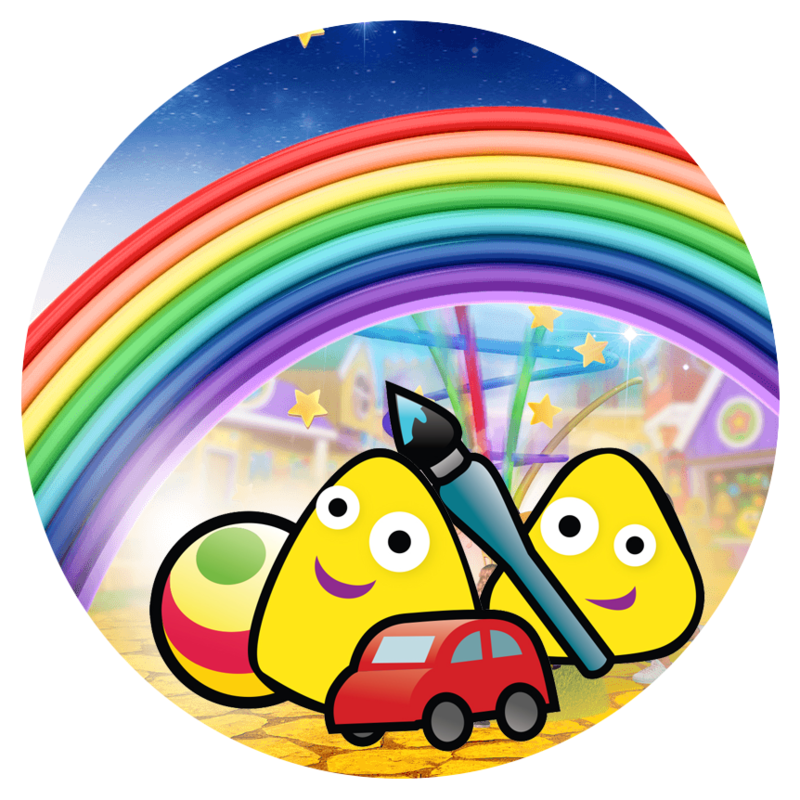 Step through the rainbow and you’ll enter a colourful world which is bursting with fun! After a hard day of fun in CBeebies Land you can rest your head in the Night Garden, sail the seas on the Scarlet Squid or dive beneath in your own Octopod. Right from check-in the hotel is entirely suited to welcoming families who are staying in any of the many themed rooms and suites. From the interactive restaurant right through to the obligatory toy shop there’s plenty of nooks to explore throughout the hotel. And there’s no chance of young guests getting bored as entertainment is at the heart of the CBeebies Land Hotel with hours of shows lined up every day. Whether you’re looking to meet your favourite characters, have a dance or get hands on there’s sure to be something that fits the bill. And when all the fun has tired you out at the end of each day, pull up a bean bag and enjoy a tale before heading up to bed… where there’re even more surprises to discover! 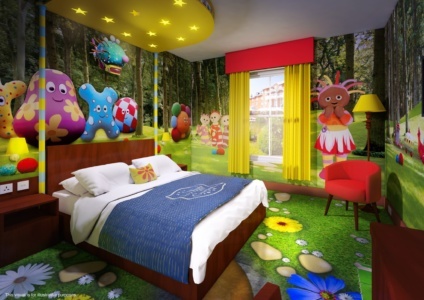 Join the CBeebies Bugs in a relaxing meadow in the hotel’s standard bedrooms. Captain Barnacles has prepared a cabin for you aboard the Octopod if you’d like to spend a night deep beneath the sea. If you’re really lucky you may even find controls to your very own Octopod right beside your bunk. 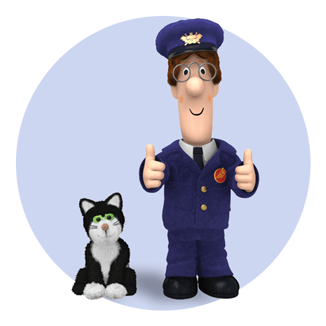 Greendale awaits and Postman Pat needs some help to sort all his parcels before bedtime. Mrs Goggins has even left a map on the wall of the sorting office to help you plan your route to make sure all Pat’s neighbours get their post. 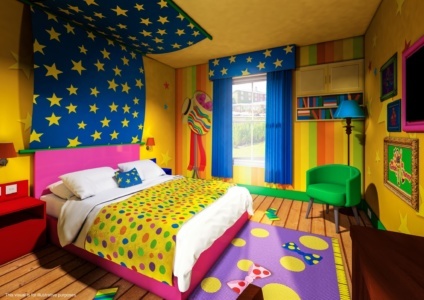 Mr Tumble invites you to have a sleep over in his very special rooms. If you’ve forgotten your spotty bags, don’t worry because lots of colourful items have already been unpacked all around the room. 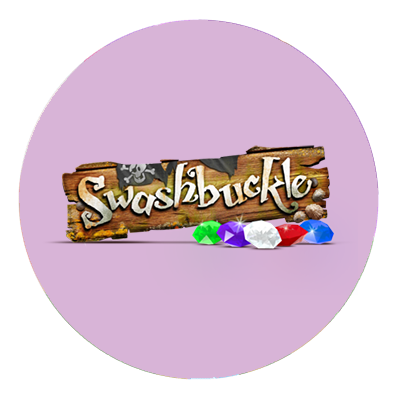 Your cabin aboard the Scarlet Squid awaits as you head to the high seas for a swashbuckling night time adventure. Join Cook, Line and Captain Sinker as they hunt for treasure but beware you’re in octopus infested waters. The facilities in the hotel are exclusively available for guests of the CBeebies Land Hotel. 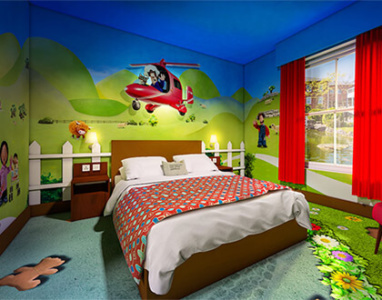 CBeebies Land Hotel guests may however use the facilities and enjoy the entertainment in the other resort hotels. As the sails go round, the Windmill Restaurant can get very busy and demand is often high so we highly recommend pre-booking your table to avoid disappointment. 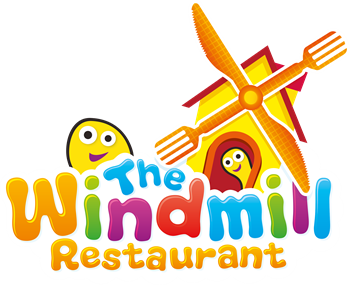 Please note that the Restaurant is only available to guests of the CBeebies Land Hotel. The Musical Meadow is the main entertainment area of the CBeebies Land Hotel, which features character meet-and-greets, live shows, game shows, music and dancing. Priceless prehistoric artefacts have been scattered all over the CBeebies Land Hotel! 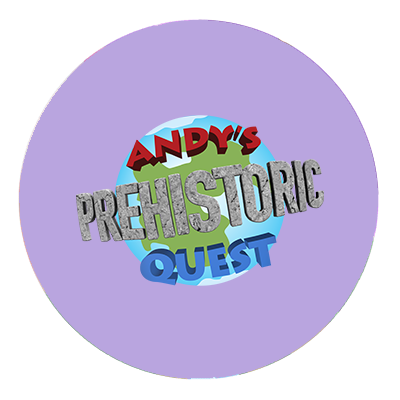 It’s your job to help Andy follow the clues in order to recover them all! Gem’s treasure has been stolen and it’s down to you to help retrieve it! Everyone has the opportunity to take part, with different games being played each night. The audience gets split up into two teams, and the aim is to win as many crystals as possible! Three live character shows take place throughout the afternoon and evening at the CBeebies Land Hotel. 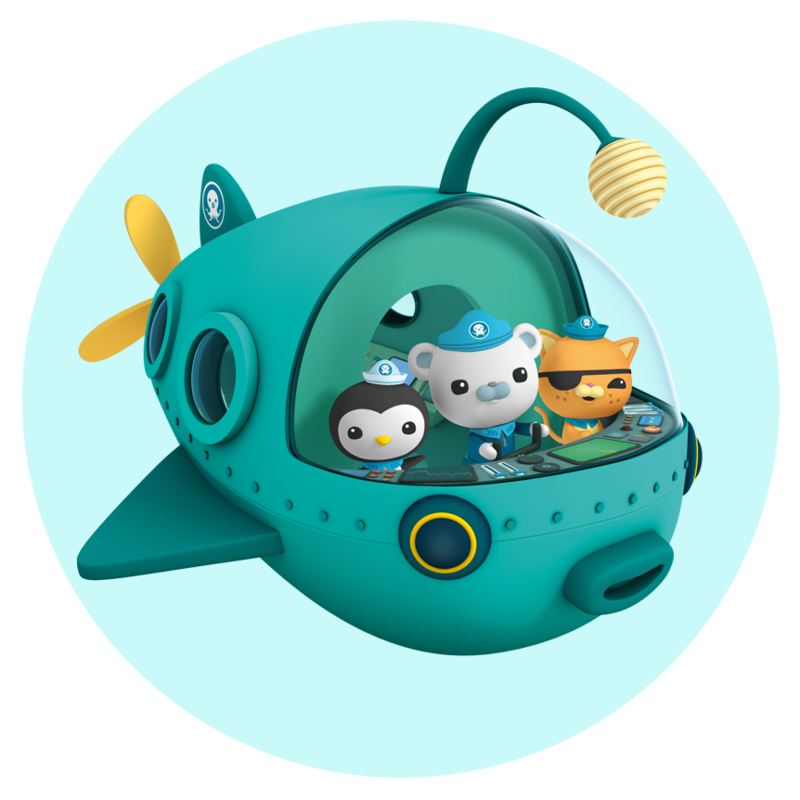 The Spotbot Show takes place during the afternoon followed later in the day by Bing’s Sleepover and the Octonauts Cadet Training Camp just before the Ubercorn Disco! The CBeebies Land Hotel is THE place to meet all your favourite CBeebies characters! 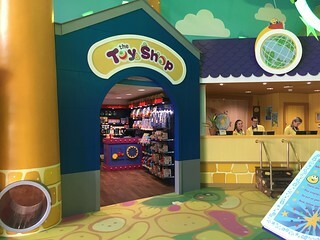 Characters will appear for around 30 minutes at a time, and include Bing, Postman Pat, Ubercorn, Little Monster, Iggle Piggle, Upsy Daisy and the Octonauts. Crafts, activities, fun, games and music are available throughout the day to help keep the little ones entertained while grown ups take care of the check-in! Professional dancers can teach you a short routine from the ballet The Tortoise and the Hare at 5:30pm each evening. Furthermore, every night there are two discos at the CBeebies Land Hotel so you can show off those dance moves you have already learnt – the Tots Disco and the Ubercorn Disco! 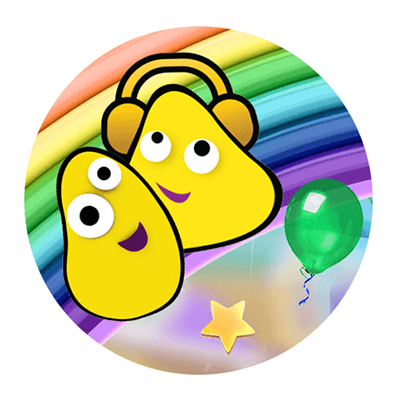 The Tots Disco is particularly aimed at tiny dancers, with quieter music whilst still maintaining a bright, energetic atmosphere! 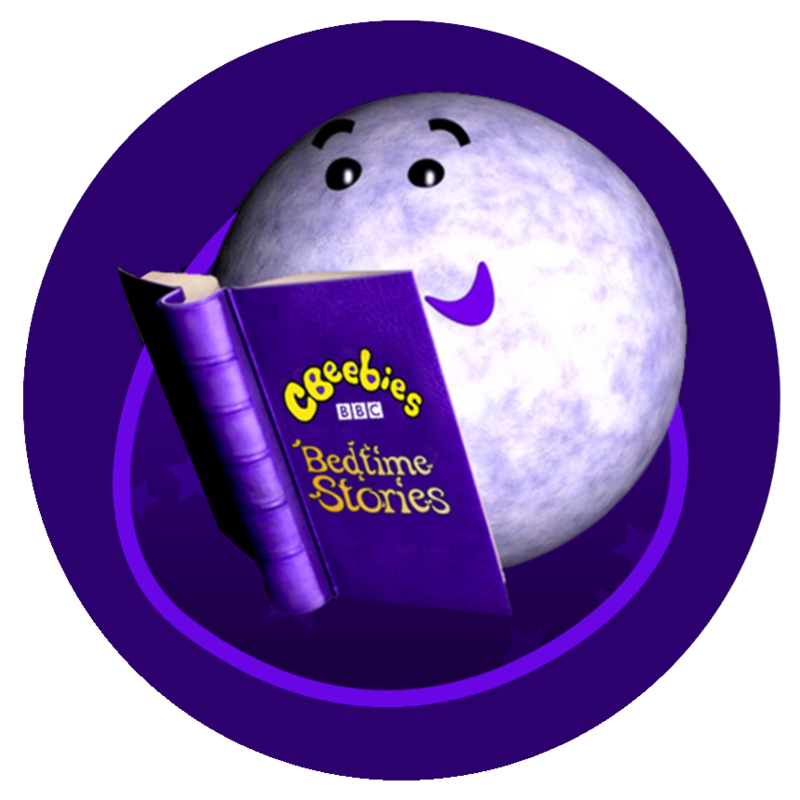 To round off the day, join the CBeebies Land Hotel presenters and enjoy learning about the wonders of the night sky! Pull up a bean bag and wind down before bed with stories about the universe. 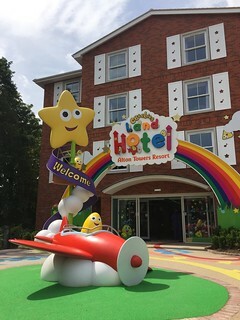 The site of the CBeebies Land Hotel has long been earmarked as a potential site of further resort accommodation, with the first planning permission granted for the former Alton Towers Hotel Garden back in 2006. 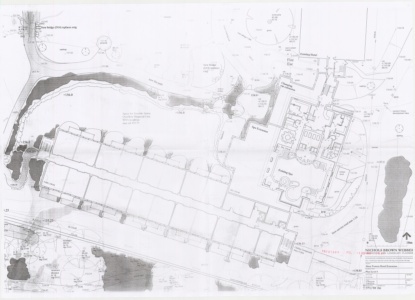 Rather than a stand alone hotel, those original plans for the site would have seen an extension to the Alton Towers Hotel, which would have added a new wing of suites, as well as an expansion for the Alton Towers Spa. Despite being granted permission those plans were never acted upon and eventually lapsed and instead the resort eventually decided to develop the Enchanted Village as their next accommodation expansion. The plans for the village emerged alongside a new plan for a Spa Expansion in 2014, which was also approved by the council. Again however the plans were not acted upon and the Spa Expansion was eventually superseded by the plans for a whole new hotel, which would in fact see the Spa shrink in size. 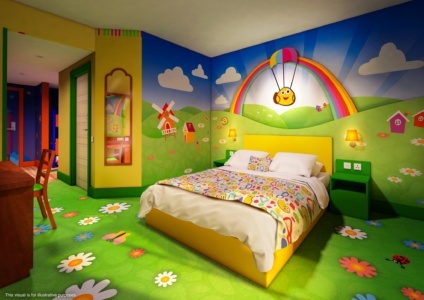 Plans for the new hotel emerged over the Summer of 2015 and were followed swiftly by rumours that the clearly family orientated facility would compliment the popular new CBeebies Land in the park. 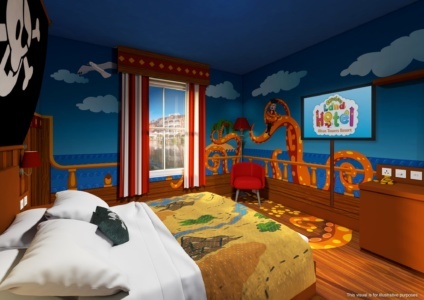 Construction on the new hotel started in June 2016 and by the end of that summer it had been officially announced as the CBeebies Land Hotel. 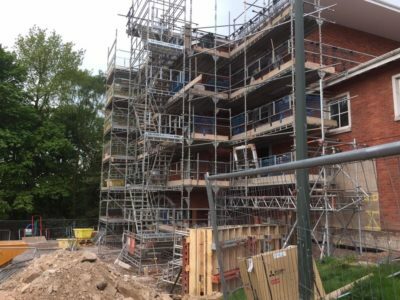 Construction lasted for just over a year and the new hotel opened its doors on 8th July 2017. When the hotel first opened it featured 14 hours of shows each day from 7:30am through to 9:30pm. In 2018 the shows were scaled back to start at 2:30pm, just before check-in opens, no doubt due to most families heading on park in the mornings. As part of the changes the Get Up & Go with Tree Fu Tom show was cut from the line up, as well a Meet & Greets with Bing and Ubercorn.